Hey Beautiful people! I'm back with another collaborations, yay! 2016 is the year of collaborations. So today I'm partnering with Louisa of Lapassionvoutee to show you ways of styling a scarf. 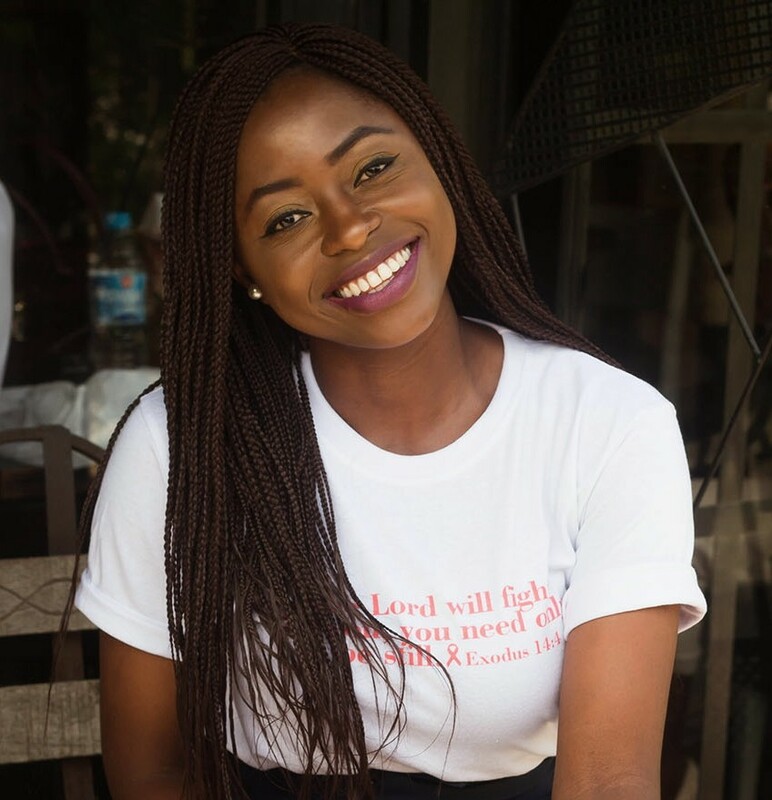 Louisa and I have been following each other for a while now and I must say she has grown so much, I love seeing the blogging ministry moving forward. Not to mention her shoes collection is to die for. From the pictures, you would notice a difference in the climates hence the different ways we styled the scarf. While Louisa opted for the belted scarf look which is a trend I rocked here, I styling my scarf in place of a necklace. I'm sure you all remember this scarf from my recent outfit (here). Today I decided to still embrace the whole vintage trend while still keeping things modern. Hence I used my scarf in place of a necklace, added a brown belt to give my culottes pairing a jumpsuit look, see the importance of basics? And finally I opted for my lace up booties to edge things up. 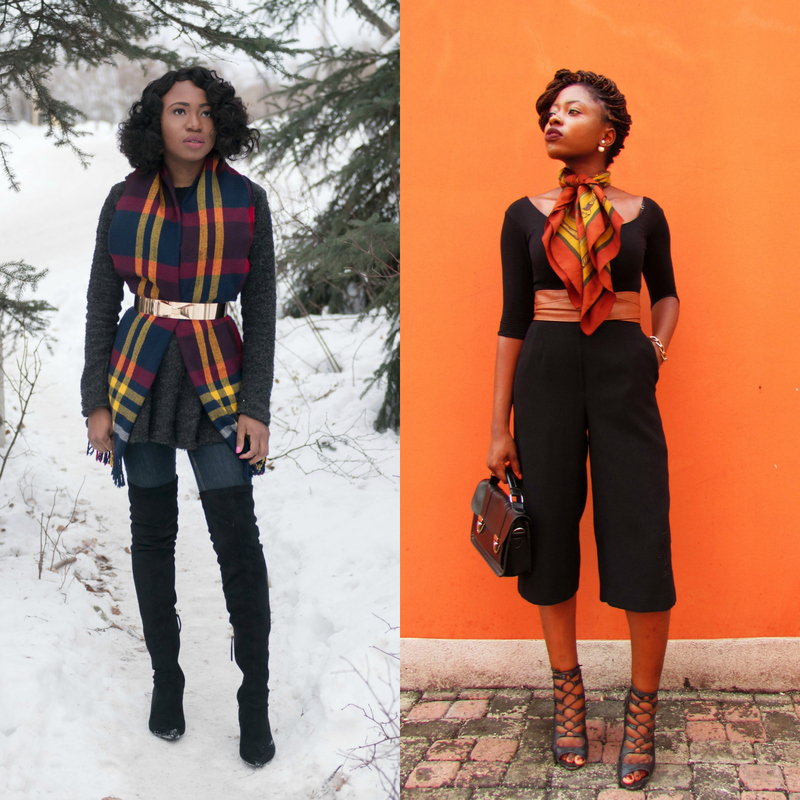 For tips on how to style scarfs check out this post. Would you rock this look? Absolutely love your look! it's so glam an chic! Loooovely!!! You both nailed it. Love the pictures. OMG you look so chic honey!!! Love the look! Two faves in one picture. Amazing!!! Girllll your pictures are amazing, love the background.. I actually was going through someone's Instagram page and she follows louisa and I saw the picture and ran here. Love the look, girl you are amazing, love your style. You know how much I love adding a belt, you look great hun. Love louisa look, so chic. Yesssss Sarah you look great!!! I love the look!!!! As well as Louisa!!! I admire the way you styled the scarf . It's got a vintage effect to it . Really cool pics . Am inspired to give this a go , so I will keep you posted . Girl, I had so much fun with the collaboration with you. I really love how you styled your scarf (I'm going to have to try it out) and you kept the rest of your look relaxed. I'm totally digging your lace up sandals. Ok I take my hat off for this collaboration. I love how you all have your own interpretation of how to dress the scarf. I love both looks. Lovely pictures I must say.I'm a huge fan of scarfs and you both nailed the look. Heading over to Louisa's blog for more. I love how you always embrace the Vintage! I get to learn a lot and culottes should be just for you cause you rock them all the time Sara. I love scarfs and I think I should wear them more often and not just cover my head with them thanks to you! wow! I love this, such stylish ways to wear a scarf! Never even thought of this. OMG you slayed girls!! aw that's great, Sarah! can't wait to see more of your collaborations this year then. I'll go check out Louisa right now. I like how you styled your scarf, you look as chic as always. you definitely nailed down your personal style already, always so chic!